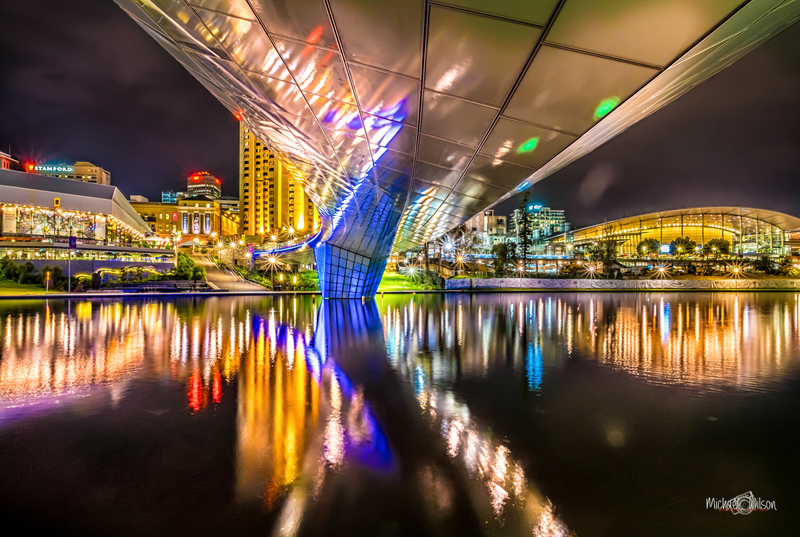 This entry was posted in Photography and tagged Adelaide, Adelaide City, architecture, brooklynbystander, City, colour fx pro, footbridge, Lightroom, long exposure, night photography, Photography, South Australia. Bookmark the permalink. Wow! what a beautiful modern city. Urban planning at it’s best apparently.. Very 21st century to start, yet with an eye to the future. Of course very nice photography as well, Michael. Thanks Mike, the bridge is quite new as well as some major upgrades around the city. The football stadium is making the city centre a great place to be. That is one fantastic photo! I love the colors and variety of geometry you got in the composition. It’s mesmerizing. I love this, very nice.